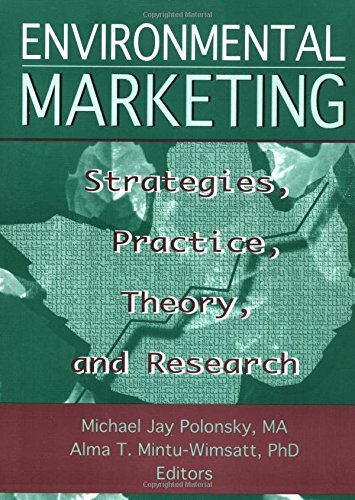 Environmental Marketing: Strategies, Practice, Theory, and Research is a timely resource for the 1990s. It examines a broad range of issues that affect environmental behavior while providing materials and guidance to marketing decisionmakers. It will guide your organization toward a decidedly “green” marketing movement, toward marketing concepts and tools that not only serve your organization's objectives but preserve and protect the environment as well. Environmental Marketing clearly defines the potential roles of organizations, consumers, and governments and examines how these groups impact environmental factors through the marketing process. The book helps you understand alternative perspectives to green marketing issues and, in turn, enables you to make clearer, more conscious decisions toward improving your environmental marketing performance. This resourceful text begins by defining the concept of environmental or “green” marketing and how the idea of a healthy planet and successful marketing strategies can co-exist. It discusses the consumer's behavior toward environmental products and how marketers can effectively educate them, the guidelines involved in doing so, and the consequences of failing to do so. The marketer's position on environmental changes in industry is examined along with alternatives for striking a balance between marketing objectives and environmental concerns. Finally, the book discusses the global response to environmental marketing and where multi-national organizations belong within this balance. 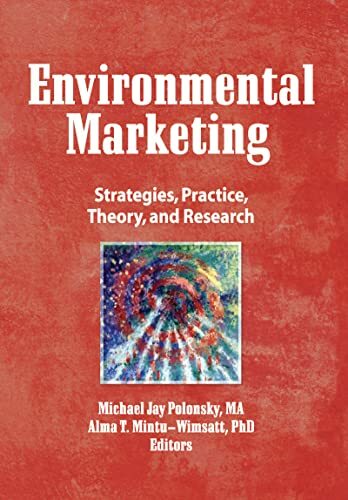 Environmental Marketing is a book for all managers involved in decisions impacting the environment. It is also of great interest to public policymakers and academics who wish for quick insight into environmental marketing issues. WINSTON, WILLIAM; MINTU-WIMSATT, ALMA T.